See Harley Quinn like never before! 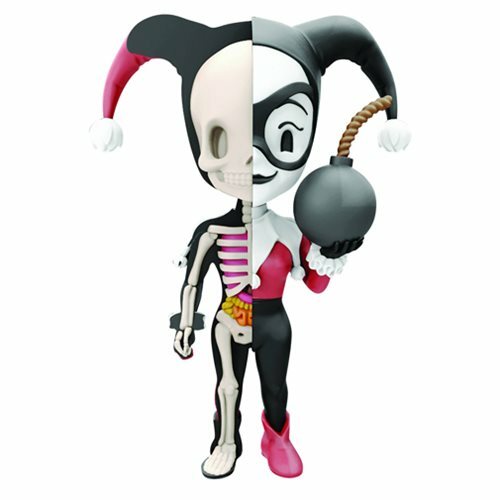 The Harley Quinn XXRAY 4-Inch Deluxe Vinyl Figure features a cross-section the DC Comics character. This awesome vinyl figure stands 4-inches tall and features a unique dissection. This deluxe figure includes added features like interchangeable parts for the figure to extend playability. Battle the Justice League! Ages 13 and up.